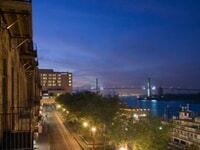 Come find your own slice of Southern Hospitality on River Street, Savannah. 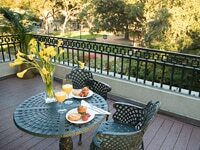 Here we have a truly remarkable selection of accommodations ranging from historically renovated inns to modern, eclectic hotels; all draped in the uniqueness of Savannah’s Riverfront shopping and world class restaurants. The rooftop lounges, cobblestone streets and first class spas of River Street will ensure your Savannah visit will be a classic. Situated on Reynolds’s Square in the historic district, and within walking distance to all of Savannah’s treasures, the award winning Planters Inn offers guests a wine and cheese reception each evening as well as daily complimentary continental breakfast. (800) 554-1187. 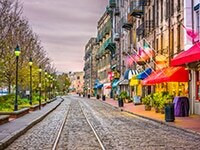 Looking to plan your next Savannah adventure? Let us help you pick the perfect hotel for your trip. With five preferred hotel partners available, we are sure to have the perfect room for you! Visit StayinSavannah.com or call (912) 721-2305 for more information.